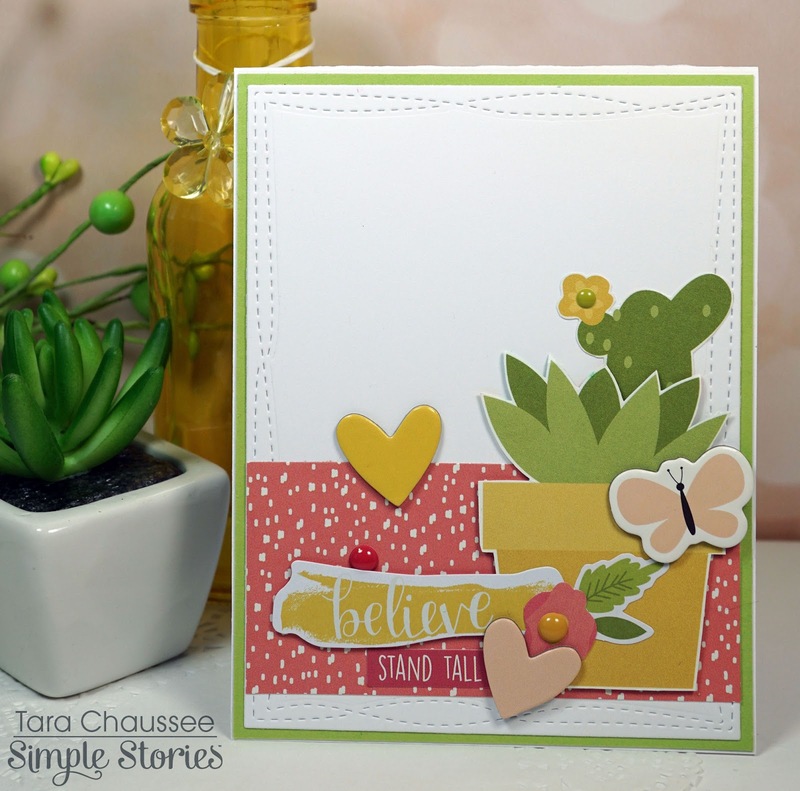 Secretbees Studio: Stand Tall And Believe! Hi everyone! It has been a few weeks since I joined in on a Color Throwdown Challenge and I thought it was high time I get back to it! 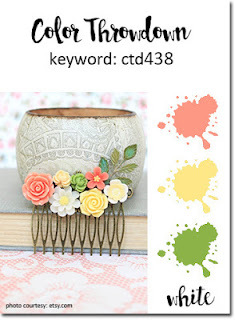 Since I recently received a big box of Design Team goodies from Simple Stories (pinch me!) 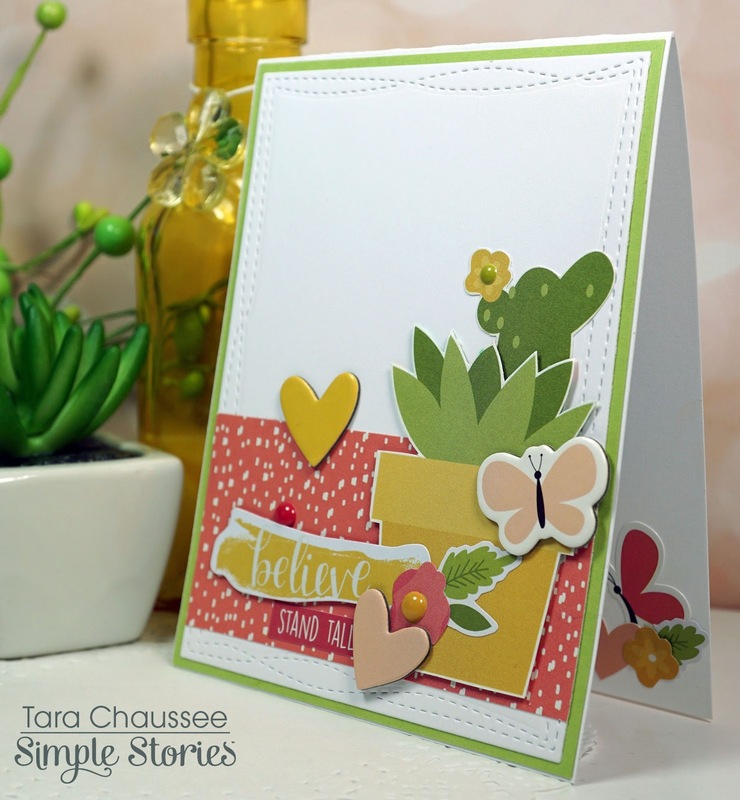 I took the opportunity to showcase all the cuteness and make a card! 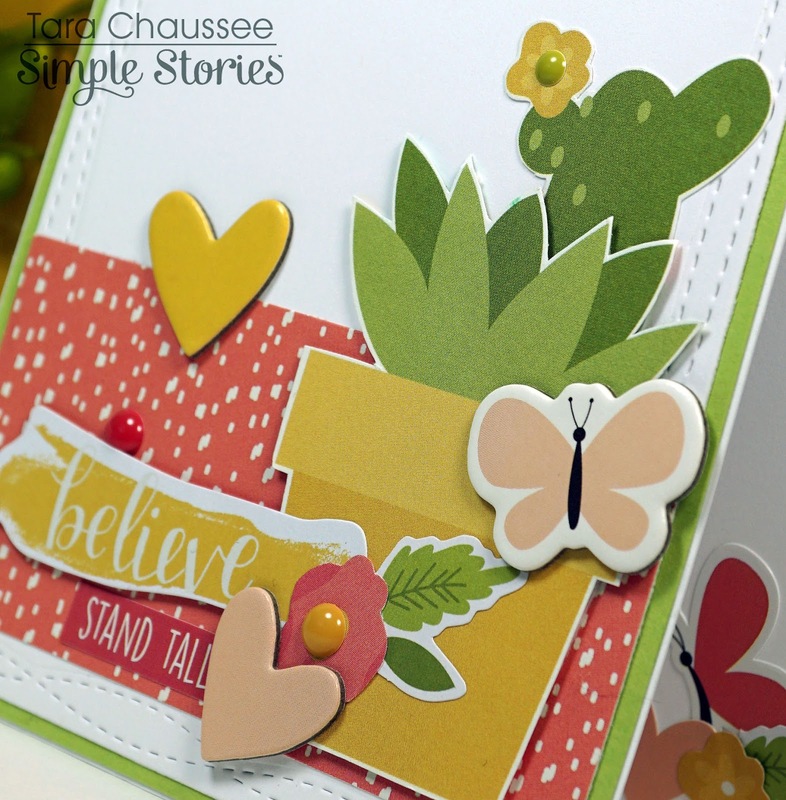 The colors of the Color Throwdown Challenge #438 this week are coral, yellow and green and they go perfectly with all of the great papers and embellishments of the Simple Stories 'Faith' collection! This collection is filled with beautiful flowers and plants and lots of hearts and butterflies! I kept my card clean and simple by just using one strip of coral patterned paper against a white background. Then I fussy cut some large succulents from the 6x8 paper pad papers and layered them over the top. 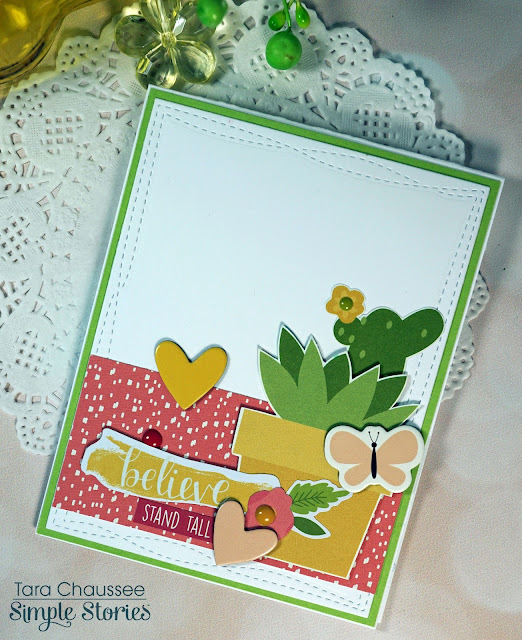 I added in some adorable 'Faith' Bits and Pieces and chipboard along with a mixture of stickers from the 4x6 Stickers and the Combo Cardstock Stickers for just the right amount of sweetness! Of course I had to add in some happy with brightly colored enamel dots to finish this card off! I used both the 'Faith' and 'Domestic Bliss' enamel dots so I could get the right mixture!